Classic, timeless designs with a hint of contemporariness and sophistication. Choose from one of our traditional medallion designs or one of the other 3 modern designs and give your decor that intricate splendour. Whatever your preference you're sure to achieve a stunning visual affect with a Cordoba rug. Cordoba is machine woven in Turkey, the heat-set polypropylene pile has a lovely sheen and the colours radiate in both hues and tones. 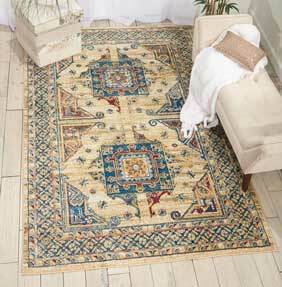 Choose from five sizes including a long hallway runner and large room-size rugs.